Get a Free trial for 14 days - No lock up and no credit card required! We update your search engine positions every day. And of course your competitor positions as well. Don´t miss any ranking movement! Don´t want to bother to log in every day to see the ranking updates? Don´t worry, Wincher alerts you when important changes take place! 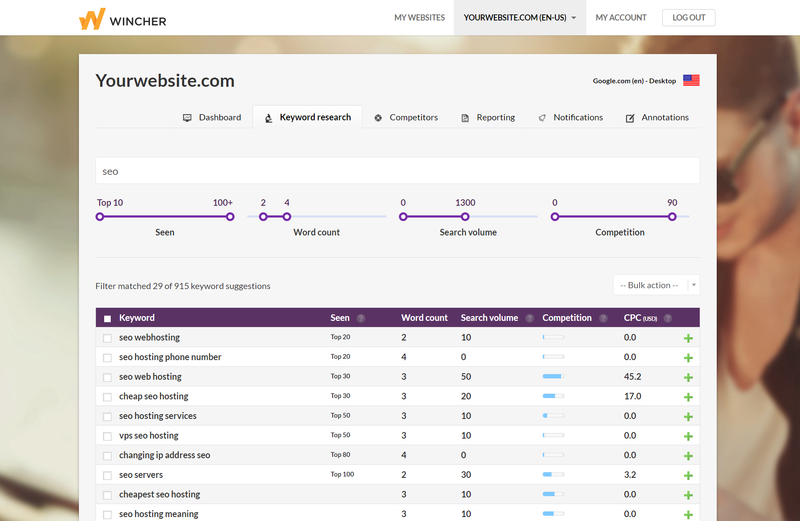 Doing a good ranking job in the search result — tell the world about it! You can easily share your ranking success via social media. Export your data by PDF or CSV. It's also possible get customized PDF-reports sent to any email address on weekly or monthly basis. 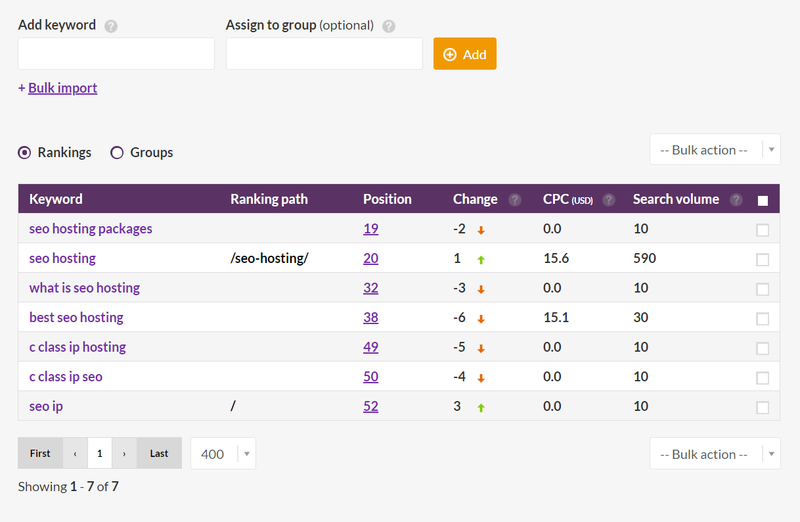 Group your keywords into different categories of your choice and get a better overview of your overall ranking progress. 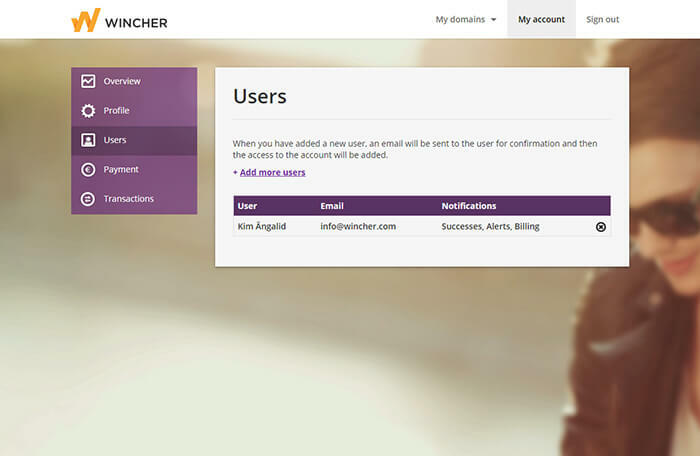 Try Wincher Rank Tracker for Free without any credit card requirement. Pro users can close their account at any time. No lock up at all! Your monthly fee is calculated from the number of added domains in your account. 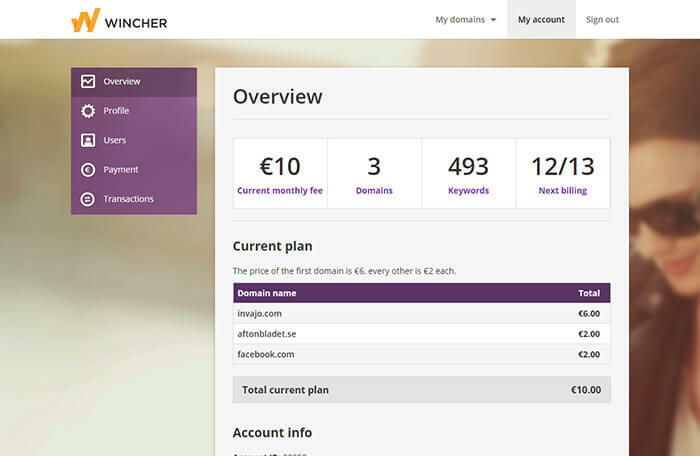 The first domain is €6/month. Any additional domains is €3/month each. 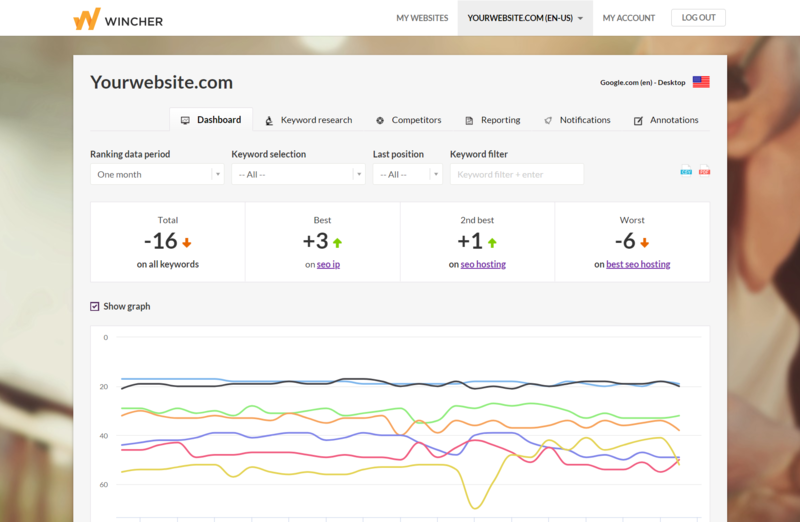 Try Wincher Google Rank Tracker for Free during 14 days. Evalute and let us know if you have any questions or feedback. You can close or upgrade your account at any time.